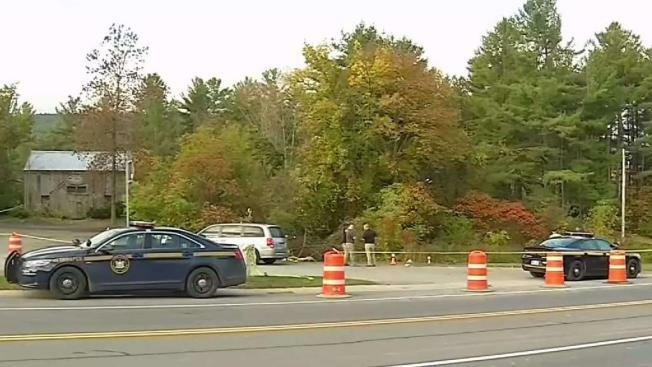 The operator of a limousine company has pleaded not guilty to 20 counts each of criminally negligent homicide and second-degree manslaughter in a crash that killed 20 people in upstate New York. Ken Buffa reports. The operator of a limousine company pleaded not guilty Wednesday to 20 counts each of criminally negligent homicide and second-degree manslaughter in a crash that killed 20 people in rural upstate New York. Nauman Hussain, 29, operator of Prestige Limousine, was released on $450,000 bond after his arraignment in Schoharie County Court and will be subject to electronic monitoring until his Sept. 9 trial. He had been free on $150,000 bond since his arrest in October. Prestige's stretch limousine ran a stop sign at a T-intersection on Oct. 6 and crashed beside a country store, killing the driver, two pedestrians and 17 passengers bound for a birthday celebration. State police said the 2001 Ford Excursion limo should not have been on the road due to safety issues. The crash was the deadliest transportation disaster in the United States in a decade. The National Transportation Safety Board is investigating, but a final report could be more than a year away. Defense attorney Lee Kindlon said in a court brief that extensive records demonstrate the company's efforts to maintain the vehicle's road-worthiness. He said the intersection's design and "treacherous" road conditions contributed to the accident, and he contended that the driver had "a number of intoxicants" including marijuana in his system. Neither state police nor the prosecutor has disclosed information about the driver's toxicology report. "This case is far from a slam dunk," Joe Tacopina, another defense attorney, said during the hearing before Judge George Bartlett. Kindlon said the top count in the indictment handed up last Friday carries a sentence of up to 15 years. The limousine company is owned by Hussain's father, Shahed Hussain, who has been in Pakistan since before the crash. He has not been charged criminally but is named as a defendant along with his son in civil suits brought by families of the crash victims. In his brief, Kindlon said Shahed Hussain was born in Pakistan, came to the U.S. as a child and became a citizen about 10 years ago. He owns several rental properties in the Albany area. Schoharie County District Attorney Susan Mallery, arguing against bail, called Hussain a "flight risk" because his father lives in Pakistan.